So I came in this morning thinking that there wouldn’t be much to do in the middle of February but discovered this! 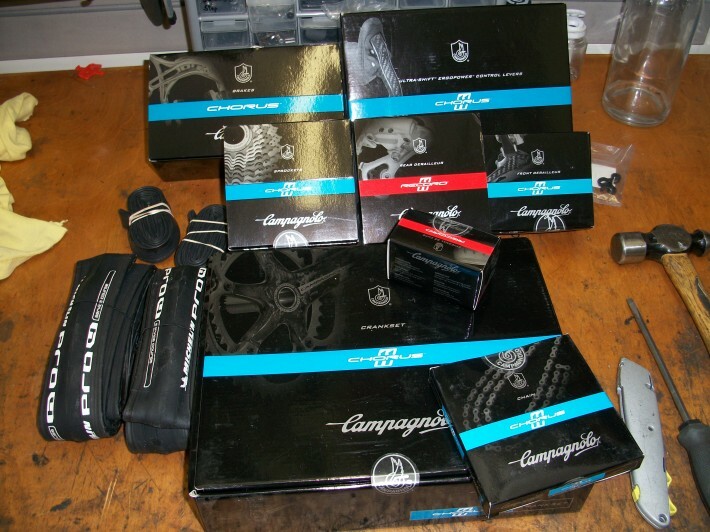 A virtual cornucopia of high end Italian parts spread before me like a banquet at a bike nerd convention. (Apparantly the three tools to the right are all that I’ll need to assemble a bicycle according to the uppermost flap of any bike box. Don’t worry! I’ll probably use a 12″ adjustable wrench too.) As it turns out this is just another day at the office for me. 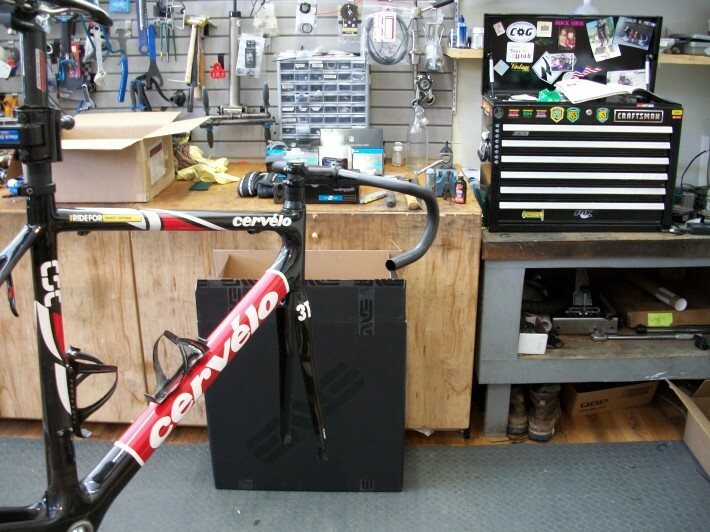 I’ve got a couple of Powertap wheel build lined up with some carbon hoops, a naked Cervelo staring at me from my stand and I haven’t seen a Huffy or the inside of a dog’s ear for a fortnight and I’m a much happier person for it. It is a very rare and fortunate turn of circumstances that has led me to work on the best bikes in the industry on the regular. Thanks for trusting me with your beloved’s and please keep it coming!